Saree is an identity of an Indian woman. Wearing sarees is an art in itself that can either enhance your personality or can even bring down the look of an expensive saree. If one knows how to choose the correct color and pattern of a saree then she can be center of attraction of any social gathering. 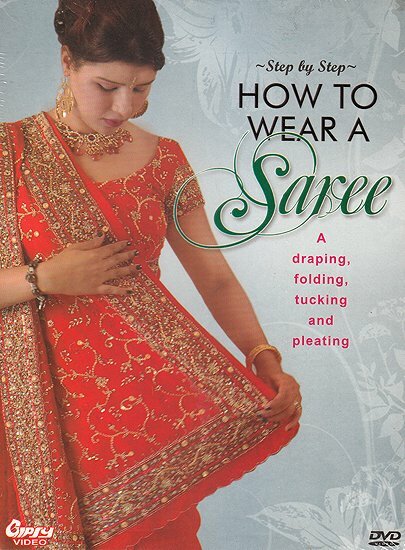 The art lies in knowing that kind of saree to wear and how to wear. Whether you prefer a traditional style or want to go in for a more popular Mumtaz style of wearing a saree learn step by step and easy to understand language the art of choosing and wearing a saree. 14.0" X 10.0" X 4.0"